Home Directory Richard Gribble, C.S.C. 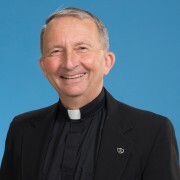 Father Richard Gribble, CSC is a member of the Congregation of Holy Cross. he came to Stonehill in 1995. Besides teaching he is actively involved with local parish ministries as well as campus activities such as the Team Faculty Advisor and Community Associate Programs. Catholic Press of America Best Biography Award 2006 (First Place) Catholic Press of America, Best Essay (Second Place) 2006.